. 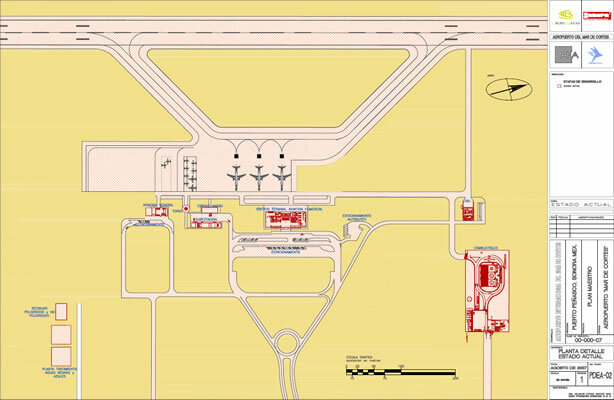 : Airport Information for Pilots :: Mar de Cortés International Airport :. Airport official name: Mar de Cortes International Airport. Airport type of services: RS: International regular flights. Alternative Aerodromes: MMML: Mexicali, B.C. 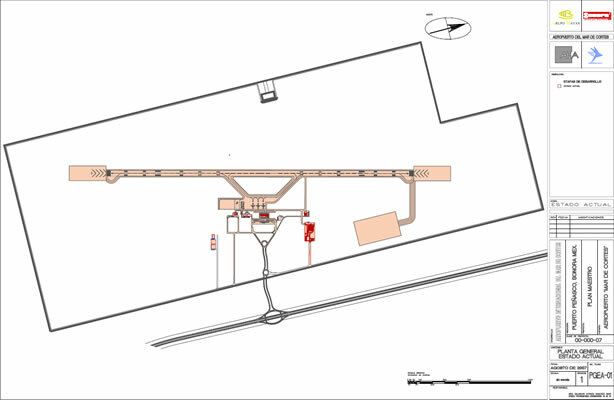 Airport RFF Category: RFF: Rescue and Fire Fighting protection level: 7. Value Added Tax Rate: 16% on Puerto Peñasco. Airport ATS: Air Traffic Services Provided on field. Summer Saving Time: Sonora State don’t change its local time. DES: Runway Designator Number on 18 & 36. CLM: Center Line Mark on 18 & 36. THR: Threshold Runway Mark on 18 & 36. TDZ: Touch Down Zone Marks on 18 & 36. SST: Border Runway Marks on 18-36. AMG: Fixed Distance Marks on 18-36. TWY: Taxi way Center Line Mark on A & B.
HLD: Stop Bar Light on A & B.
on runway 18 & 36. 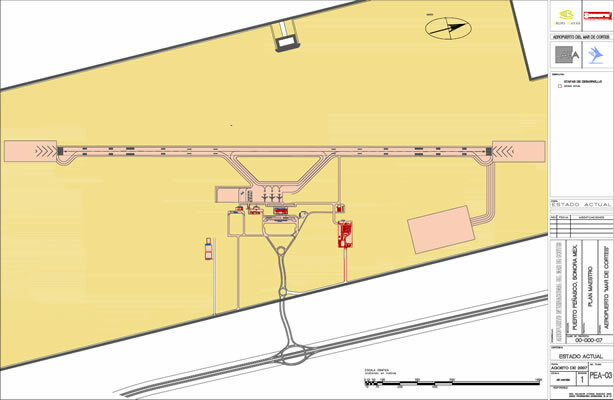 TE: Taxiway lights on A & B.
Runway Dimentions: 8,100 x 147 fts. Runway 18 THR Elevation: 84 fts. Runway 36 THR Elevation: 88 fts. Taxi ways PCN: Concrete 66R\B\X\T. Commercial Ramp PCN: Concrete 66R\B\X\T. Taxi ways: A & B. Commercial: 3 positions for Boeing 737-800’s. Airport Coordinates: 31°21’ 6.836’' LN113°18’ 19.441’’ LW Runway Center. Location: 17 miles East of Down town. Address: Libramiento Caborca-Sonoita #71 Col. Ejido Miramar, Puerto Penasco, Sonora, Mexico C.P. 83552.